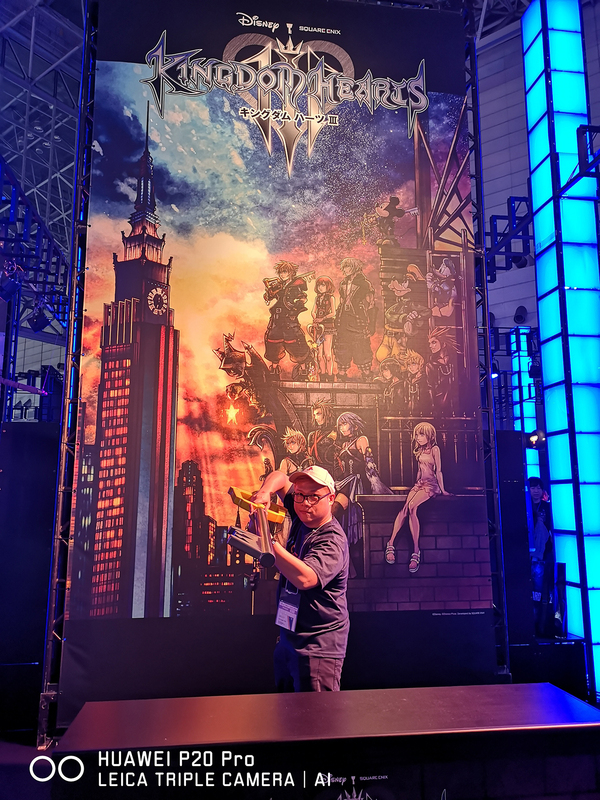 We’ve barely scratched the surface of Tokyo Game Show 2018 and we’ve already spotted more than a dozen photo-taking spots that would take your souvenir con photos to the next level! 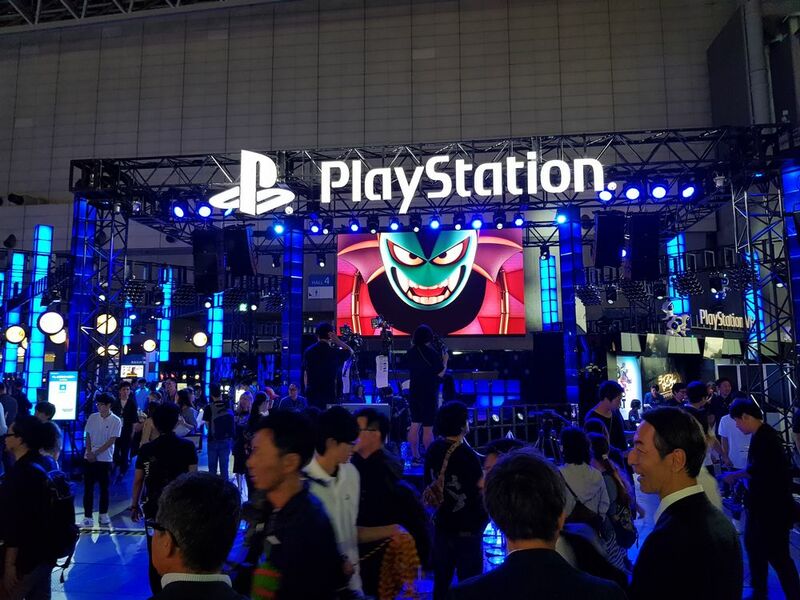 Perhaps not as big of a booth as the past 2 year’s we’ve attended, PlayStation made use of the space pretty much well. Aside from rows upon rows of gameplay demos, the outer sides are adorned with monumental photo walls for con-goers to just drop by and take a quick (and creative) photos. Step into feudal Japan with these two Samurai cosplayers with crazy amazing armors and weapons. Yosh, ikuzo! Don’t be afraid to jump in and squeeze the accelerators on them bike of yours – you are being chased by hordes of zombies! 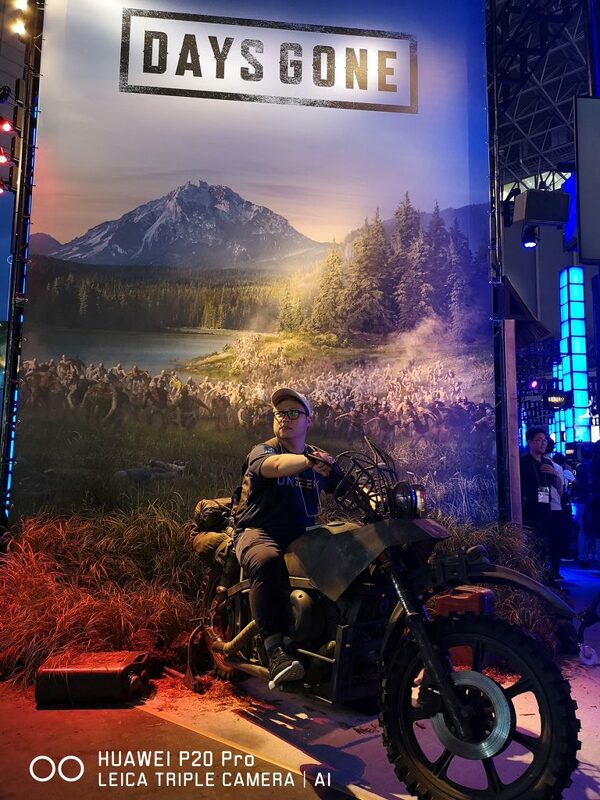 This Days Gone installation has gone through great lengths at ensuring everyone has a chance to jump in on the bike (they have a small applebox aka blocked step ready to help you jump in. Yes, I used it. Yes, I’m smol ☹ ). 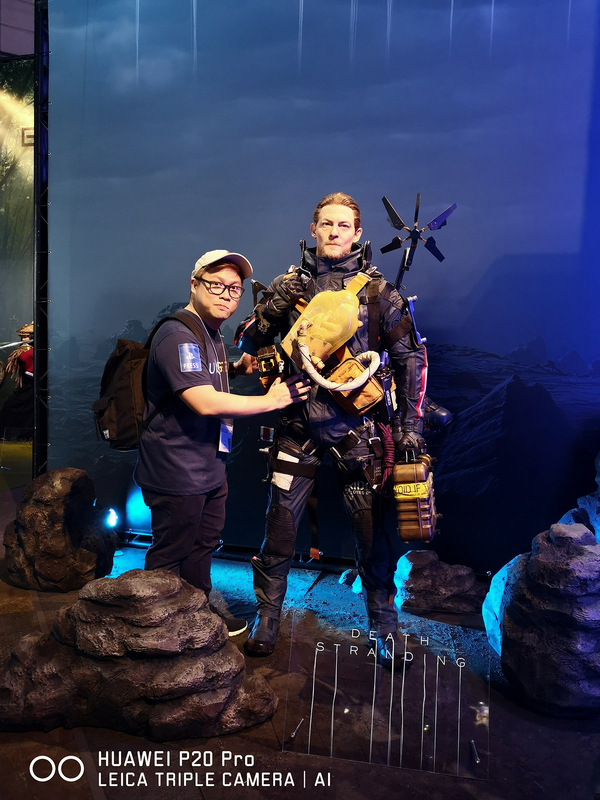 Spend some quality time with Norman and his baby in this iconic image from the highly anticipated Kojima Productions game – Death Stranding. Just…don’t touch his baby, he hates it when people touch his baby. Um, hi there Oni-sama… please don’t kill me! Wield a Keyblade and win some hearts in the process! 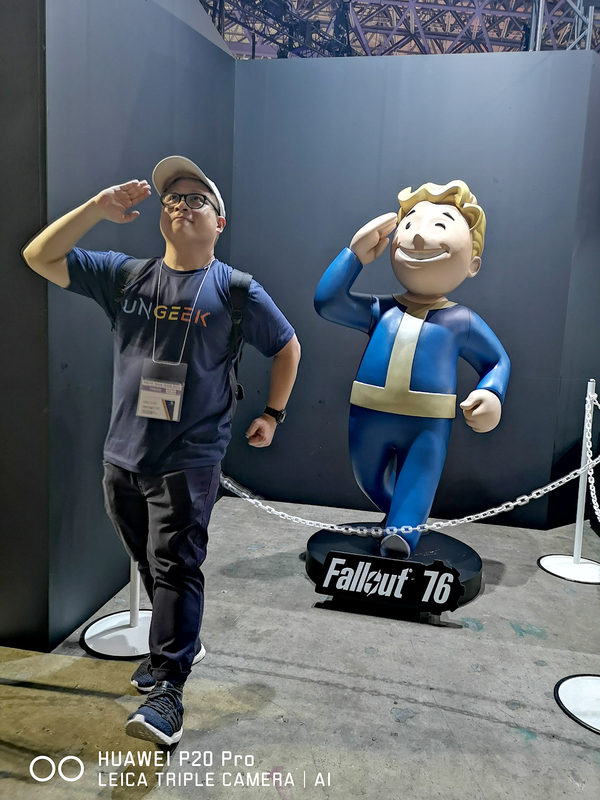 While the biggest installation that Square has this year is for Kingdom Hearts 3, you’d want to go around back to where the SQUARE partners are at to find this adult-size Vault Boy statue standing at the Fallout 76 area. 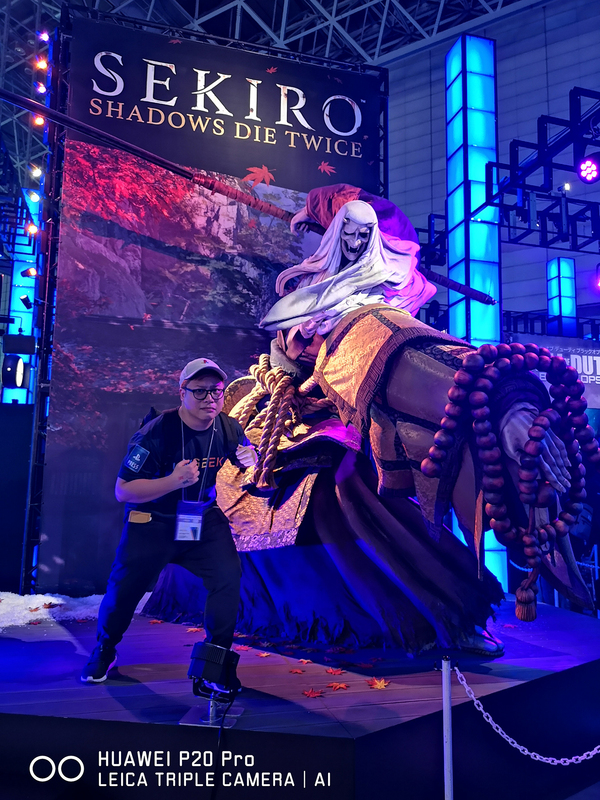 Bandai-Namco stepped up this year with a huuuge booth and a big chunk devoting to Jump Force. 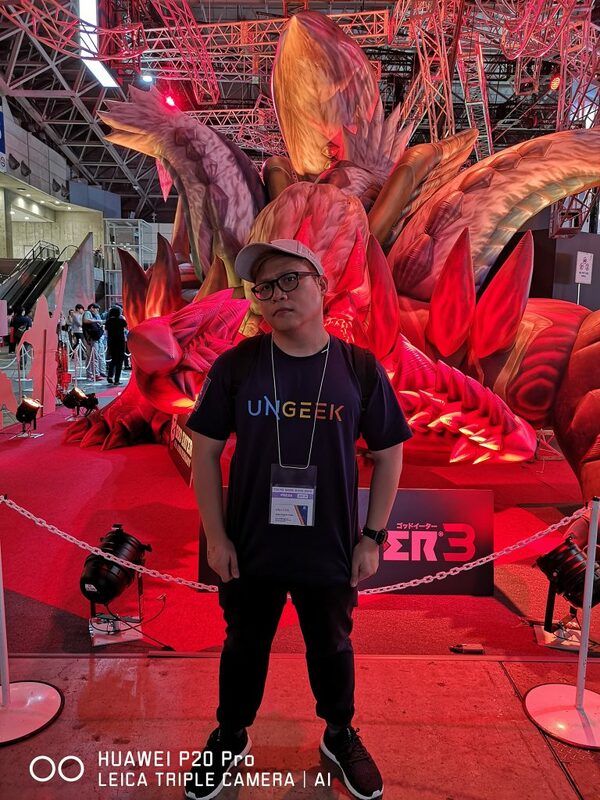 It is, however, God Eater 3 where you want to stand and pose to your hearts content with this crazy installation! SEGA, as always, put out a well-thought-out booth as they create clear distinctions between various games and its intended target audience. 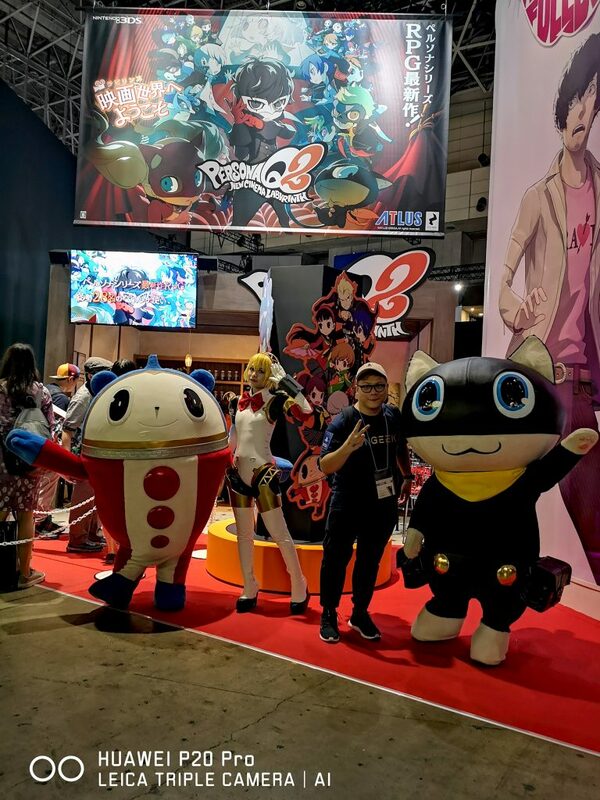 Case in point, the inclusion of less serious (but not less fun) games like Catherine and Persona Q2 towards the end corner of the booth (as opposed to Judge Eyes’ grittier tone and color). 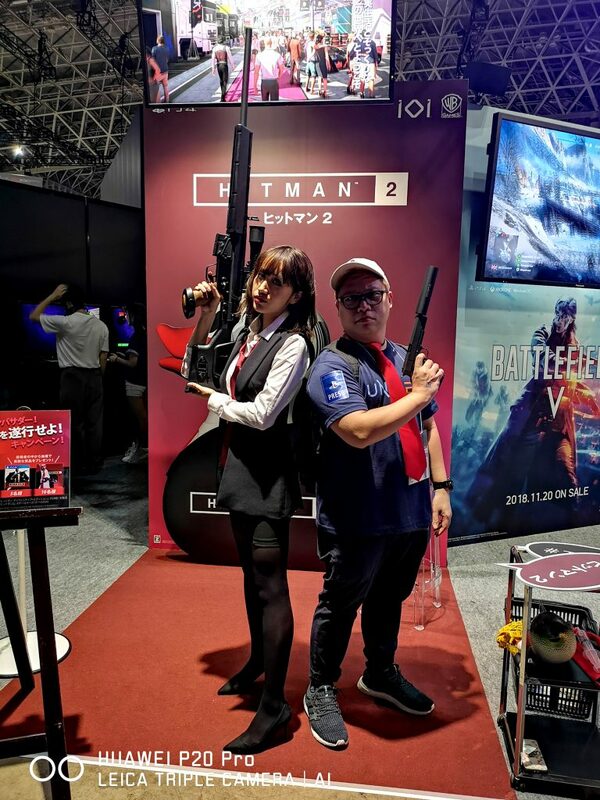 Hitman 2 is part of the many games that publisher partnered with. It’s also one of the first booths you’ll see coming in from the main entrance. Be the best assassin you could be, I guess, is the phrase. Or isn’t it? If you make your way at the center of Halls 4-6, you’ll be greeted by bright lights and this multi-colored arrow sign of Google Play. 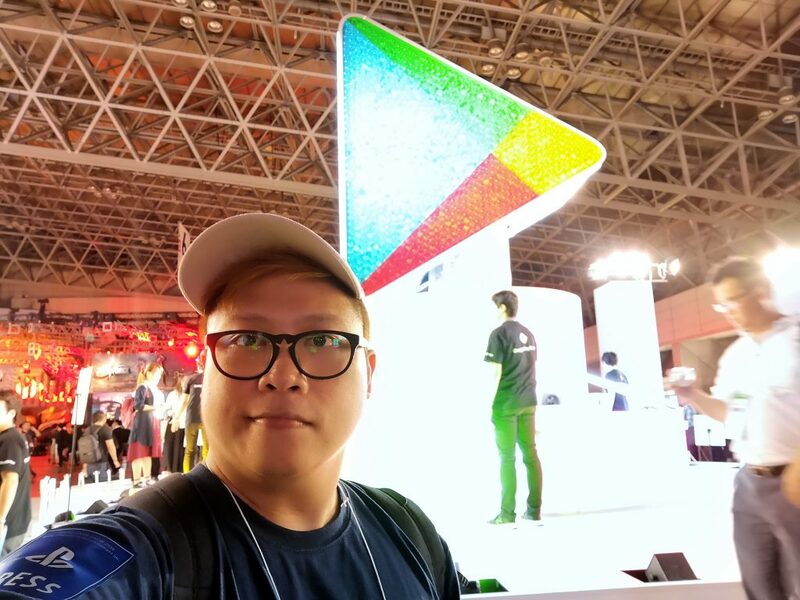 The booth also allows you to earn Google Play Points so aside from taking some creative shots (or a selfie) make sure to go through the activities inside! 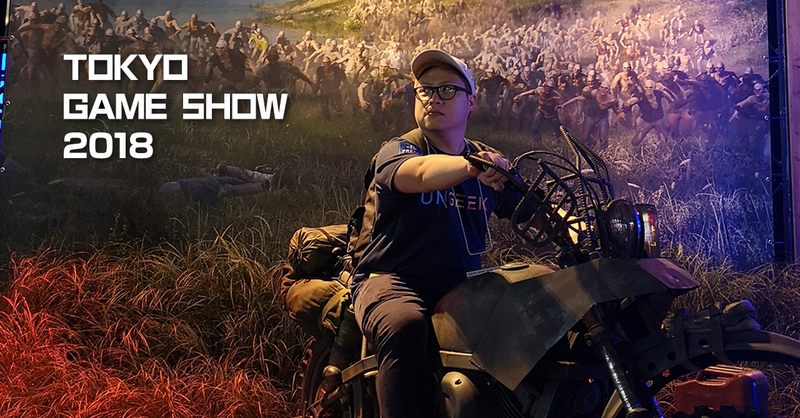 While the PUBG Booth in itself is massive, PUBG Mobile is regulated towards the side (near the walkway entrance connecting halls 6 and 7). 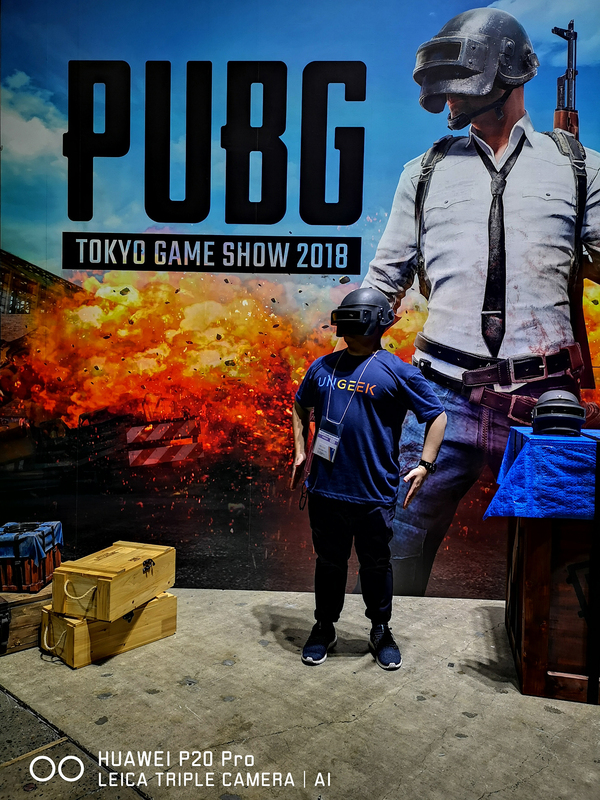 Still, this is where you’d want to be if you want a photo op with the iconic PUBG Helmet. They should have included a chicken dinner there or a frying pan, though, that would make the setup loads better. 2 main attractions here for great photo-op, uh, opportunities. One would be in the Devil May Cry wing and the other is in Capcom’s main attraction for the year – Resident Evil 2. Papogian contest with Nero – or you know, just swoon over this beautiful man (it’s 2018, wag kang judgemental). Capcom went all out with the booth setup this year especially with how certain areas of Racoon City just come alive (or well, okay, undead) like this little portion towards the side of the booth near the shooting gallery studio. 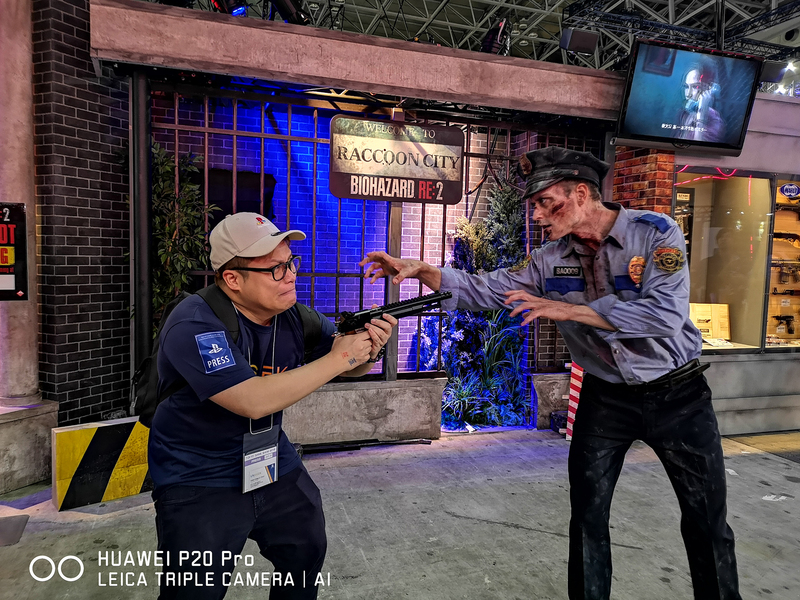 There’s a timed event where a zombie RPD comes out and just want to have a photo with you –and probably have you for dinner, I mean take you out – and most likely eat you. So, there you have it, folks! 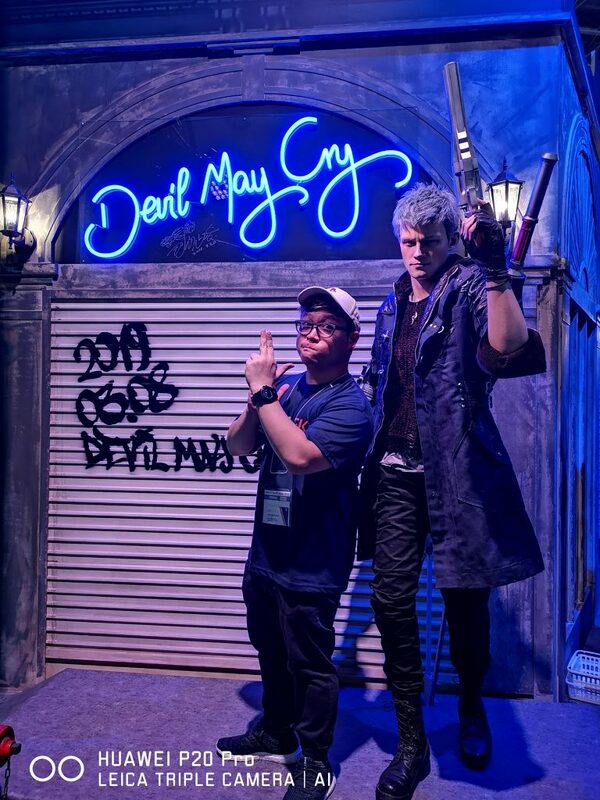 13 of some fun photo op areas inside the Tokyo Game Show 2018 – and this is just running from halls 4-7 and barely scratching the surface. 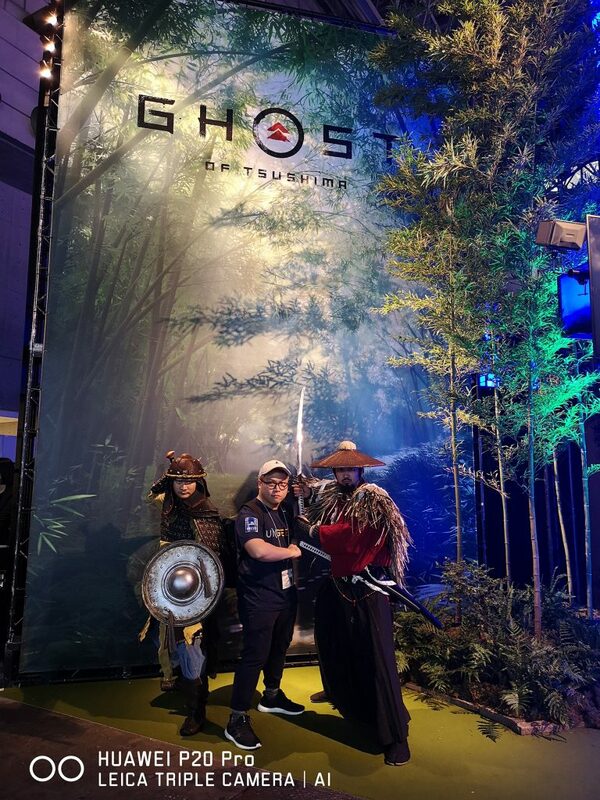 TGS 2018 is 11 massive halls of geeky goodness and we’ll keep on documenting as best as we can…even if we have to content with the not-so-photo-friendly lighting situation. The only downside to large gaming conventions like these would be the lighting. Each booth has a specific mood-lighting attached to it and some (well, quite a few actually) are not necessarily photo-friendly. Some have really dark mood-lighting to induce a feel of dread, or others would make use of the game (or game company’s) brand colors. Good thing we brought with us a Huawei P20 Pro – one with one of the best Night Modes we’ve ever seen on a smartphone. The Night Mode pretty much takes HDR-esque photos even under little light. The idea is for the phone to take multiple exposure and stitch it together into what it deems is the best version of the image it can possibly be. The photos taken were set at auto/ night mode and used without any assisting apparatus like gimbal or tripod. That’s pretty much how ridiculous the optics of the P20 Pro is! The great thing about the P20 Pro right now is that it’s more affordable than ever to get one (from Php 44,990 to Php 40,990). And, even though the device has been in the market for months, the internals and the camera can easily compete (and dominate) against a whole slew of newer models that came out this year. 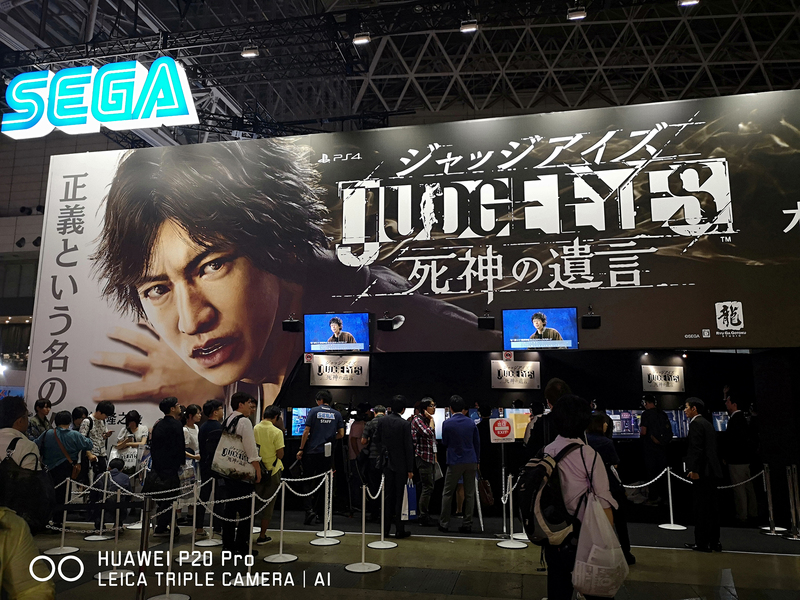 We’ve been using the device for majority of our coverage here at the Tokyo Game Show 2018 Coverage and we’ll be sharing more images AND videos in days to come.